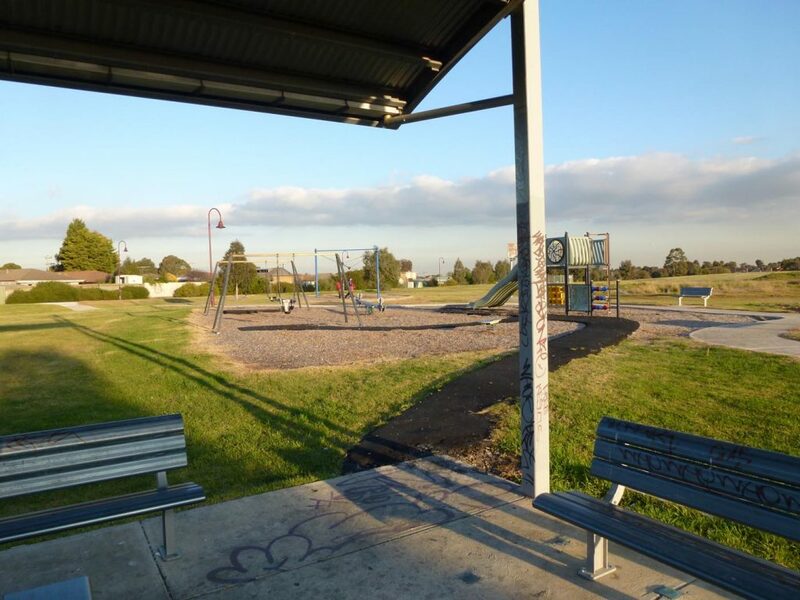 Craigieburn Gardens is a siginificant outdoor space located in the ‘older’ part of Craigieburn. The site is located on a former landfill site, adding another layer of complexity to the design process. 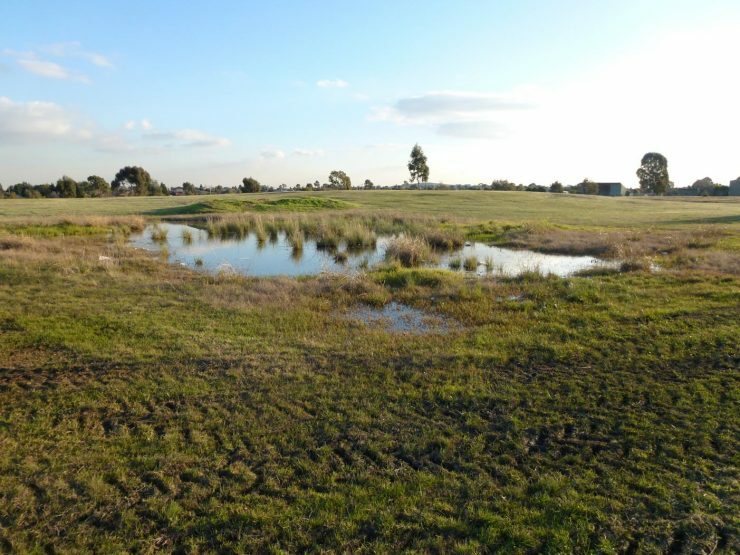 The site consists of the Leisure Centre, providing users with indoor fitness activities such as basketball, swimming and gym facilities, a Council customer service centre, library, youth centre, SES, kindergarten and an open space over the landfill site. 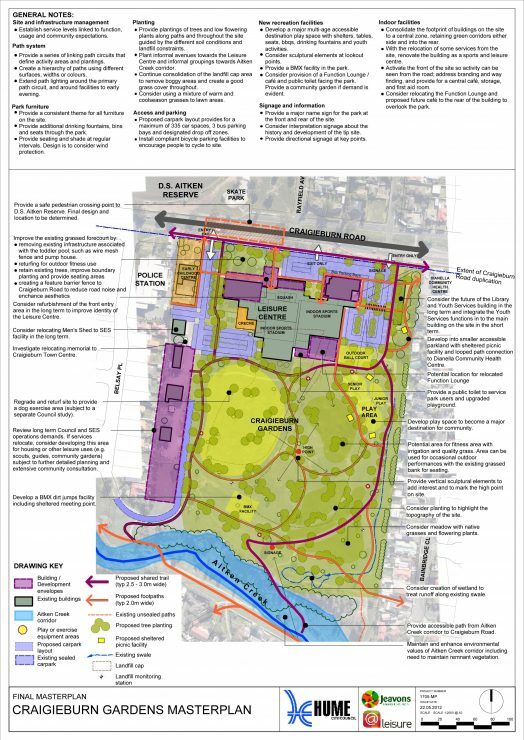 As part of the new Craigieburn Town Centre, some of these services will be relocated and Council required a long term Masterplan for the development of the site. The design called for revitalisation of the Leisure Centre so it can continue in its role providing leisure activities for local residents. A series of extensive consultations meetings were undertaken with Council officers, community stakeholders and community groups. The wider community were also consulted through letter drops, Council’s website and a walk and talk day on site. The findings of the consultation provided us with the direction to generate a Masterplan that would be acceptable by all parties. The Jeavons team worked with Traffic Engineering consultants (O’Brien Traffic) to resolve the current and future car parking on site, improve pedestrian safety movement in and out of the site as well as improve internal and external vehicle movement.